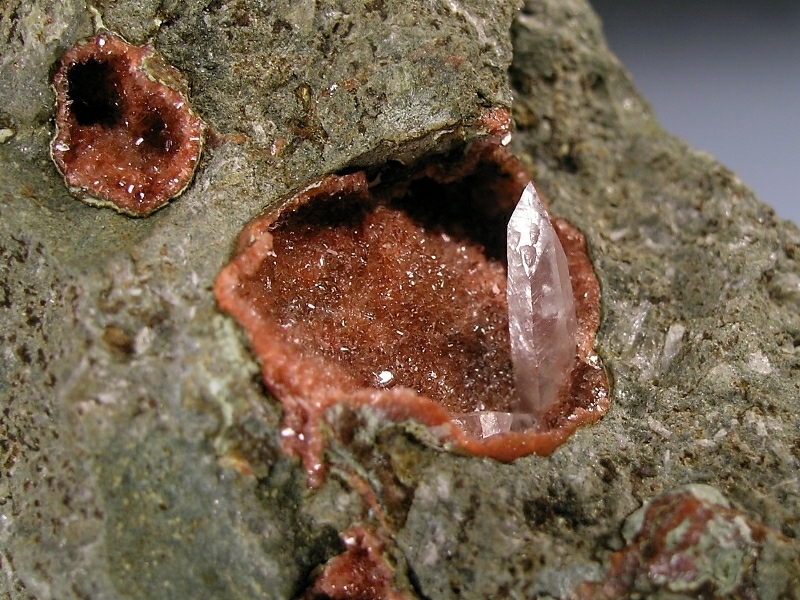 Calcite- CaCO3 - Occurs as clear colorless dogtooth crystals to 1 cm in amygdules. 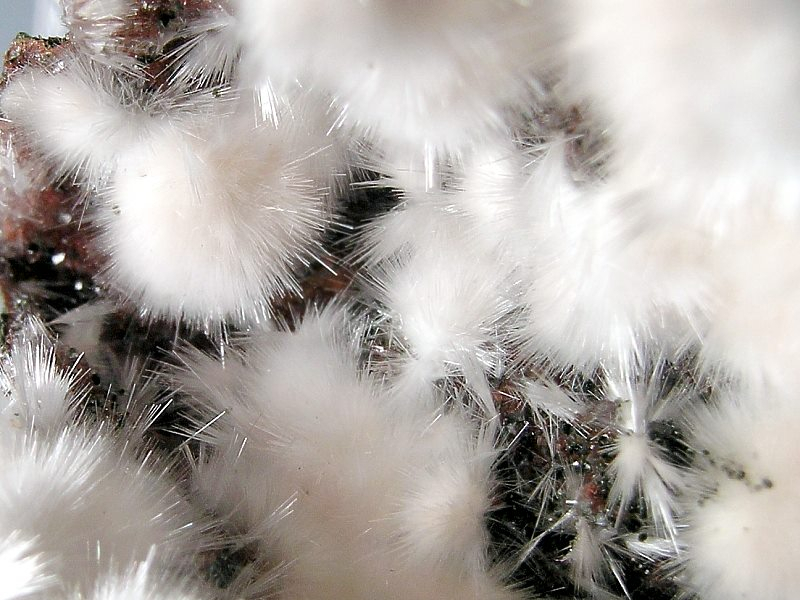 Mordenite- (Na2,Ca,K2)Al2Si10O24 - 7H2O - Occurs as sprays of needle-thin acicular crystals, some forming spherical radial clusters to less than a centimeter within amygdules. 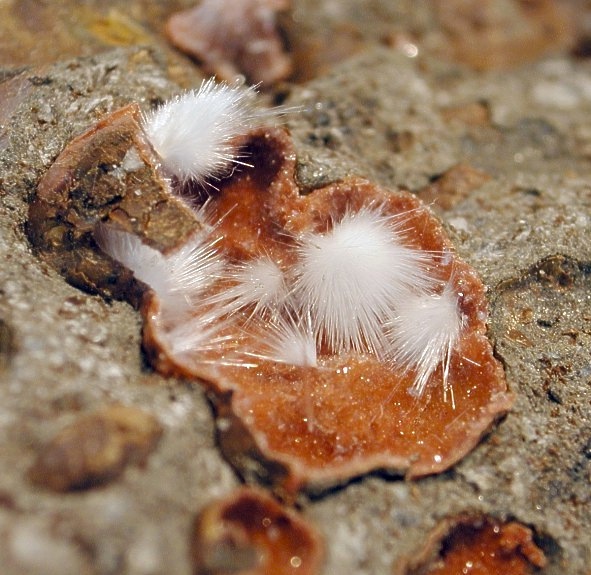 Heulandite- (Ca,Na)2-3Al3(Al,Si)2Si13O36 - 12H2O - Occurs as light orange-red druse crystallized within amygdules.